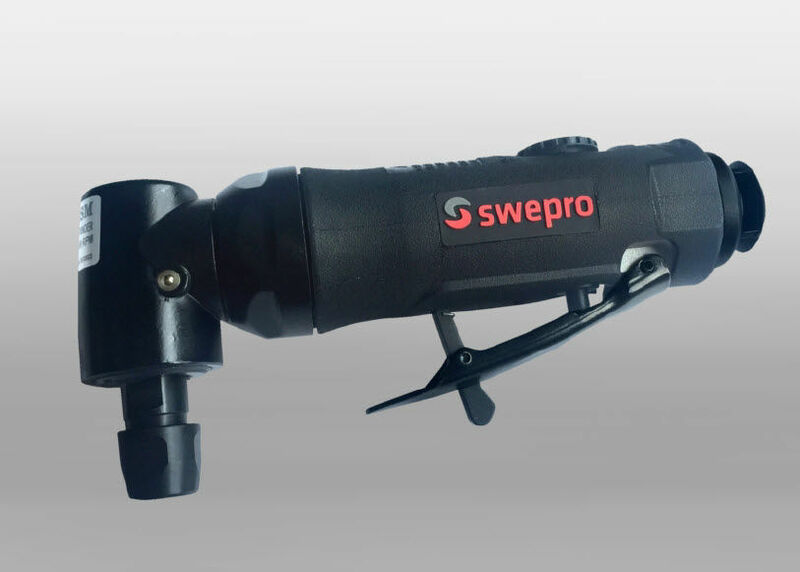 swepro SW 7735SM - The low noise Angle Air Die Grinder with its 6mm collet and a speed of up to 18,000 1/min is a versatile tool. The applications of the grinder are e.g. grinding, polishing and brushing, as well as the processing of welds and deburring of thin and sensitive materials. You are able to set the free speed of the grinder by an adjustable rotation dial at the top of the shaft. Product advantages of SW 7735SM are the safety locks of the lever release, the rotating rear exhaust and the insulated soft grip for safe operations.